[London : World Distributors, 1962. Consul Books edition, #1133. 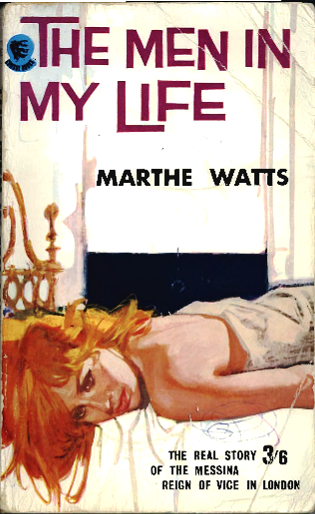 First published in hardcover by Christopher Johnson Publishers Ltd, July 1960. Printed in Great Britain by C. Nicholls & Co. Ltd. "The wickedest woman in London." Memoir of a French prostitute who worked for the Messina vice ring in London's West End in the 1940s and 1950s. The Consul reprint benefits from the anonymous cover art which depicts the author in a late vintage neo-realist style].